Our skin also needs a spring cleaning now and then to make it fresh again. And this works best with an exfoliant that frees the surface of dead cells that produce the complexion pale. We’ll show you how to do your exfoliation yourself! What Does A Scrub Actually Do? Our skin renews itself by itself all 28 days. Skin cells are transported from the depth to the surface during this time, where they eventually fall off or are removed. The better we get, the slower it goes. However, scrubs bring the cycle of renewal back to life. Also, some skin problems with getting rid of dead cells by itself. The expert calls this phenomenon “cornification disorder.” When old skin cells clog pores, impurities like blackheads are inevitable. Peelings dissolve the contaminated parts of the skin and release the pores. 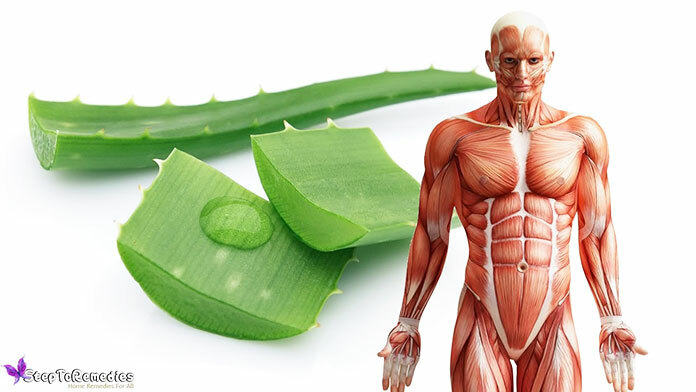 If you know about the scrub, you may definitely look for the benefits of aloe vera as it is more powerful and anti-aging properties which makes your skin bright. How Can You Make A Honey Sugar Face Scrub Yourself? 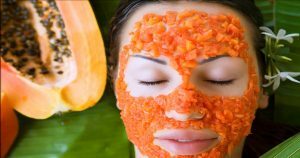 Homemade peels work in two ways: either rubbing off the old cells with fine granules or they contain chemical substances such as acids or enzymes that dissolve them. The ingredients could usually be found in a cookbook: dairy, oatmeal or exotic fruit. 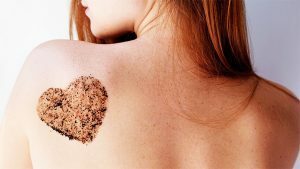 Best of all, because you could theoretically even eat these scrubs, the skin can tolerate them very well. Since they are freshly mixed, it needs no preservatives. And cheaper is the scrubs for DIY mostly also. Just mix it up. Making scrubs yourself is easy – promised! Olive oil is a true care classic – in the self-made exfoliation, it provides the re-oiling of the skin and reduces friction. Just mix the sugar in a bowl with the oil. Massage under the shower in circular movements in the skin and rinse again! The skin is then petted, and the olive oil nourishes the surface – a body lotion is then no longer necessary. Mix cottage cheese, honey, and sugar. Rub the moistened, cleansed face with the paste. 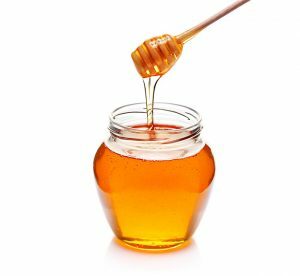 The sugar rubs off the dead skin cells and stimulates the blood circulation, the lactic acid in the quark provides moisture, and the honey has a clarifying and soothing effect. Too much mixed? Peeling residues can be eaten! A scrub with coffee revives and tightens. Caffeine also works on the skin! Caffeine stimulates a fat-splitting enzyme, so message with coffee extract should also help against cellulite. After showering, oil the slightly moist skin. Then add the paste of coffee powder to the skin and massage in with circular movements. After a few minutes, rinse with plenty of water. Rice bran has been used for beauty care in Japan for centuries. 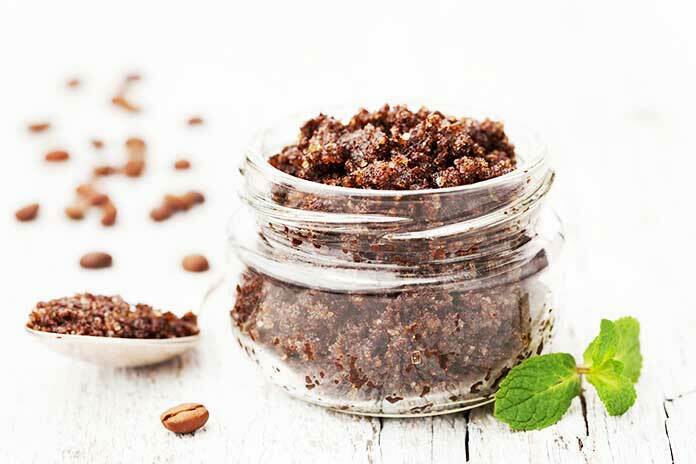 Almond bran (for example, in the health food store) is more natural to get at us, which can just as well be used for mild facial scrubs that are also good for sensitive skin. Mix the yogurt with the honey and almond bran. Apply the paste to the cleansed skin and massage in for three minutes. The honey clears and soothes the skin, while the lactic acid of the yogurt has a cleansing effect. The bran gently rubs off the dead skin cells. Dry skin does not tolerate peeling with abrasives. It needs the gentle, but no less thorough abrasion by enzymes. 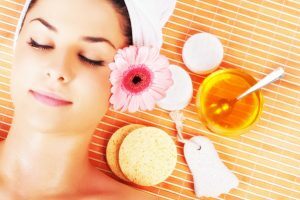 These chemicals are also found in fruit and gently dissolve the old cells – without irritating or drying out the skin. The enzyme papain is – as the name implies – in papayas. As for the exfoliating base, the exotic fruits are therefore ideally suited. Crush the banana with a fork and mix with the pureed papaya. Then add the honey. Apply the paste to the face. Allow to soak in for 6 minutes, massage in briefly. Important:- For all self-made scrubs with ingredients from the kitchen: rests either eat or throw away! The mixtures spoil quickly, and a germicidal peeling mix does not do the skin any good. On the other hand, whoever relies on freshness, thanks to self-made scrubs, also enjoys fresh skin. How you like this honey sugar face scrub information in this post, Do share with your friends.